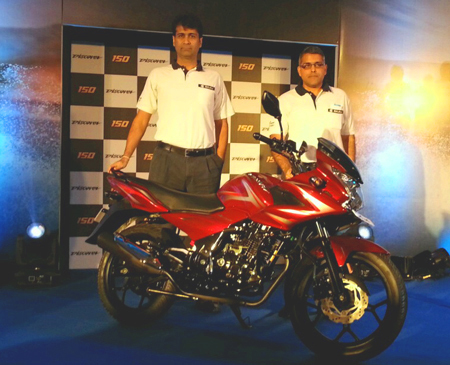 New Delhi: Bajaj Auto on Monday launched two bikes under the Discover range priced up to Rs 58,739 (ex-showroom Pune). Discover 150F is priced at Rs 58,739, while Discover 150S is available for Rs 51,720 for drum and 54,725 for disc variants, Bajaj Auto Ltd said in a statement. "These Discover 150 bikes break away from the current basic bikes available in the market to give the consumer an exciting and energising ride," it added.